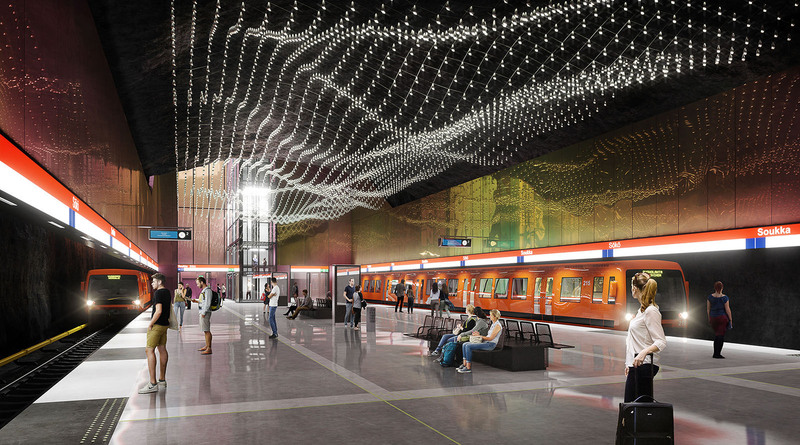 The Soukka metro station is located below Yläkartanontie, in the immediate vicinity of the Soukka shopping centre. The station’s appearance is inspired by its surrounding modernist building stock that dates from the 1960s. All corners of the station’s entrance pavilions are razor-sharp. The station embodies modernism, precision and sharpness. The Soukantori entrance will be two-storied. 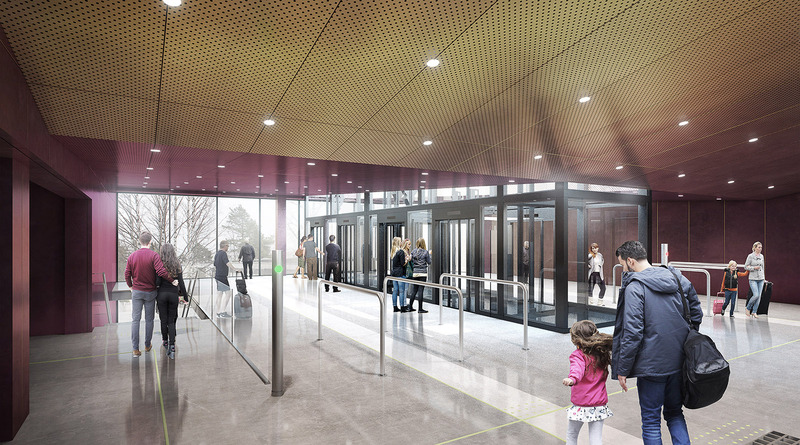 Its four parallel elevators will ensure fast and direct access to the platform level. The second entrance is located on Yläkartanontie. News on the work stages at the Soukka site can be found under the Worksite areas section.